Yay! 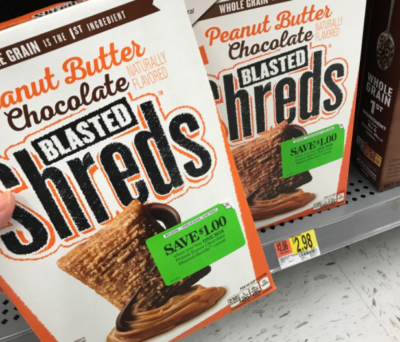 We love easy deals and here is a great one for your list! Walmart sells the General Mills Peanut Butter Chocolate Blasted Shreds, 23.2oz for $2.98. After coupons we can score 5 of these FREE + $2.10 money maker! But wait, this deal gets better! 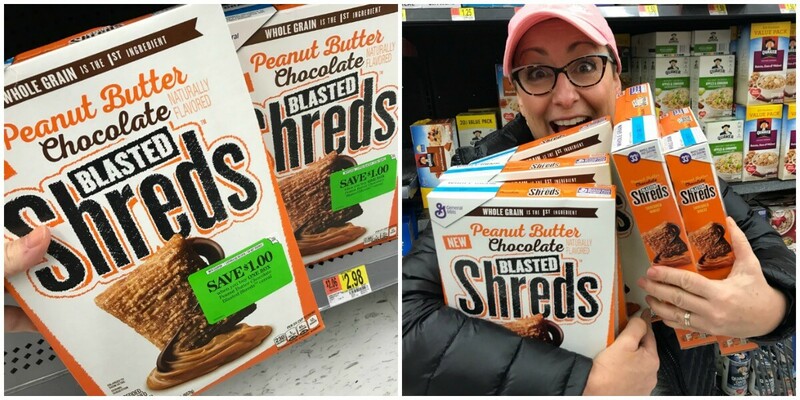 Make sure when you head to the store you keep an eye out for boxes that have a $1/1 General Mills Peanut Butter Chocolate Blasted Shreds Peelie on them, we found them on all of the boxes at our store, making 5 of these FREE + $5.10 money maker!